Intel addresses Meltdown and Spectre at CES, says "Security is job number one"
Intel is expecting to issue security updates for 90 percent of its processes and products within this week. Intel launched an all-new G-series processors as part of its 8th gen Intel Core i lineup and the company showcased various new technologies it is working on at the ongoing Consumer Electronic Show. However, the biggest question on everyone's mind was Meltdown and Spectre. 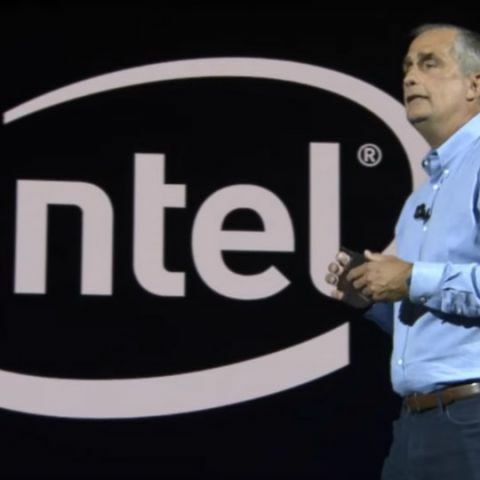 Intel CEO Brian Krzanich was equally aware and before beginning his Keynote address, he told everyone about how the company is working with other players in the industry to address the issue. “As of now, we have not received any information that these exploits have been used to obtain customer data. And we are working tirelessly on these issues to ensure it stays that way. The best thing you can do to make sure your data remains safe is to apply any updates from your operating system vendor and system manufacturer as soon as they become available”. “For our processors, products introduced in the past five years, Intel expects to issue updates for more than 90 percent of them within a week and the remaining by the end of January. We believe the performance impact of these updates is highly workload-dependent. As a result, we expect some workloads may have a larger impact than others, so we will continue working with the industry to minimize the impact on those workloads over time”. Before segwaying to the main announcements of the day, he said, “When we come together like this, there are endless possibilities”. From what he said, it seems like Intel will go into patch-up mode and will continue to do that for some time. However, Intel did not comment on whether the vulnerability will be completely eradicated from current gen processors or if future generations of Intel processors will not have the issue in the first place. The company also didn't delve any deeper into Meltdown and Spectre separately. Hence, we can only assume that the path Intel CEO was talking about on stage was for Meltdown which started this mess in the first place. All-in-all we believe, there is more to come about Spectre and Meltdown and we are hoping it isn't bad news.